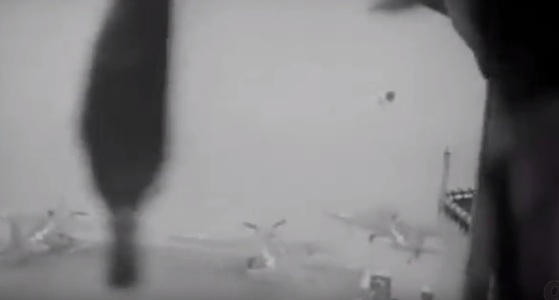 TBM Avenger taking off from Carrier USS Essex on Nov 5th for the Battle of Manila Bay. Air Group 15 approaching Luzon (Philippines) heading towards Manila Bay. Japanese heavy cruiser of the Nachi class underway, full speed ahead and circling furiously trying to elude bombing aircraft from Task Group 38.3 in Manila Bay, Philippines, during aerial strikes, 5 November 1944. 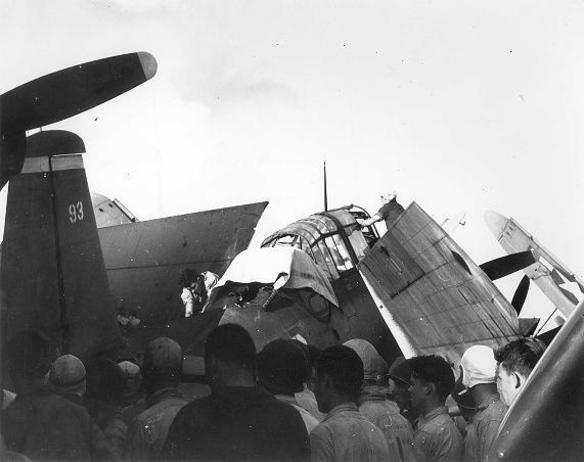 This cruiser sank stern first later in the day. 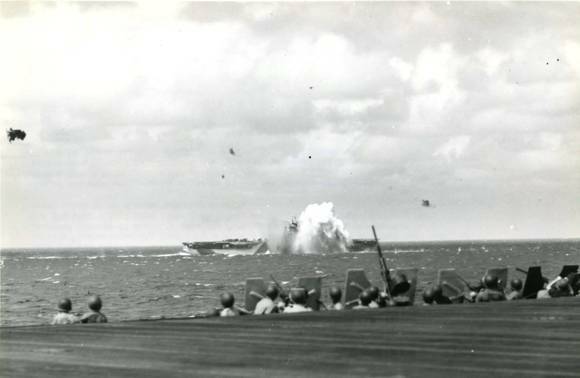 Taken by aircraft from USS Essex (CV 9). .
Japanese “Zero” making suicide dive on USS Lexington (CV 16) as seen from USS Ticonderoga (CV 14), 5 November 1944. Flight crew preparing the plane and Loyce for sea burial. 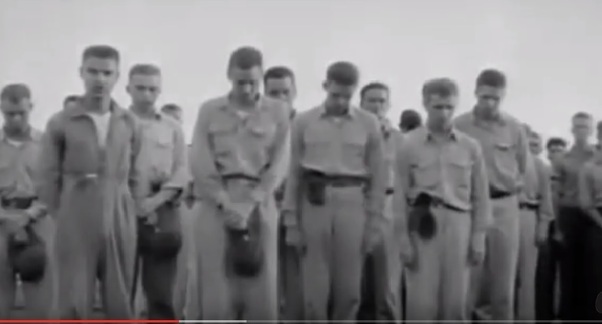 Still in his flight suit (Front left), Lt Robert Cosgrove at Loyce's funeral and sea burial. Flight crew and other aviators gather around Loyce's plane as they cover his remains. 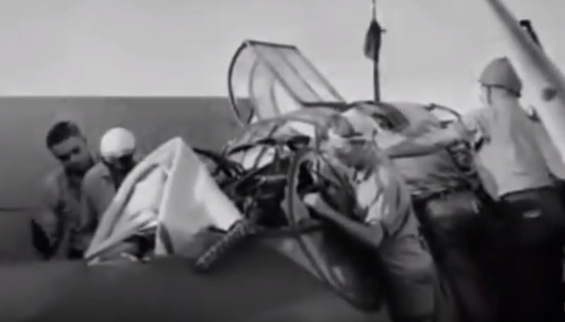 "There is a still photo of the TBM submitted by Cmdr Cosgrove USN(RET) to the Navy Essex site that depicts a sailor securing the cover over the TBM turret. My dad was that sailor, he was a gunner in VT 15 and stated to me that he was one of the first to reach the TBM and saw Deen in the turret. Dad did not tell me the story until after Desert Storm. 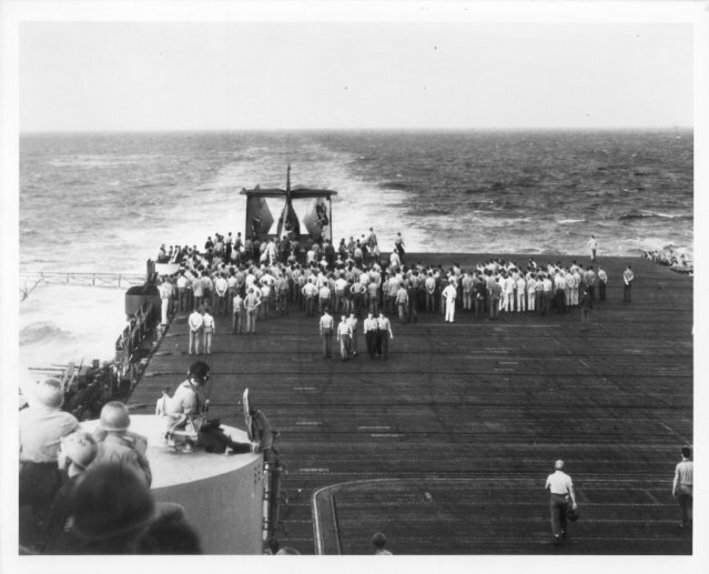 My dad was aboard Essex in VT9 and 15 from February '43 till Jan'45"
Japanese “Zero” missing the carrier USS Ticonderoga (CV 14) as seen from USS Essex (CV 9), 5 November 1944. 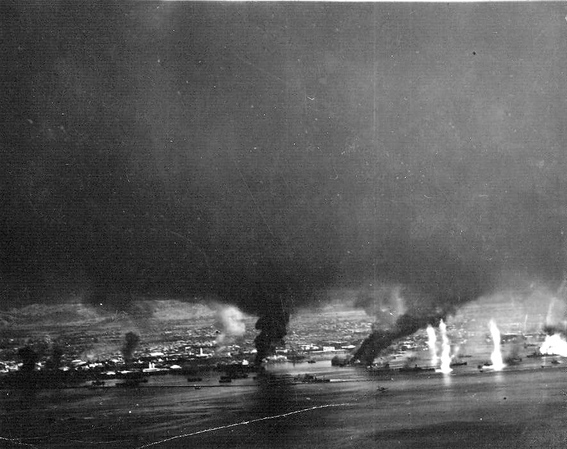 Manila Bay under attack on Nov 5th 1944. 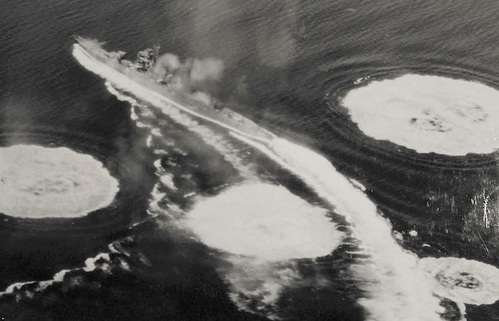 This photo taken by plane from USS Essex.